Loud country silence is heard. Distant sounds; insects and birds. 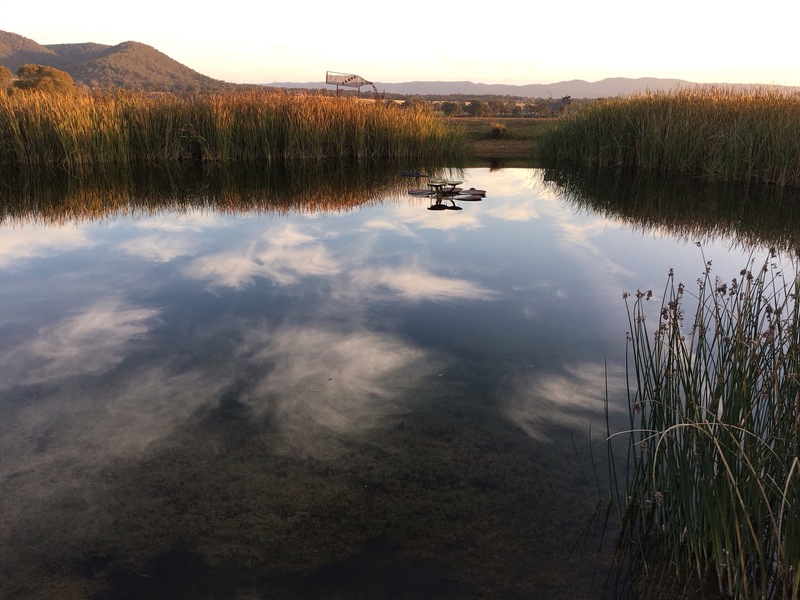 This peaceful moment was captured during a recent trip to Orange and Mudgee, five hours’ drive inland from Sydney. may you have many and frequently. Beautiful picture. Love the description : “Loud country silence.” One of our sons, when he came back to visit us in our “Hundred Acre Winnie the Pooh Wood” after living some years in the middle of Los Angeles, couldn’t sleep because of the Whippoorwills and Quail sounds and the occasional Bob Cat cry. Thank you Eileen. We are the same when we go north to Port Douglas the bush turkeys keep us awake. Always a special time of day. Beautiful reflections and colors.